An NBA First in Brooklyn. In a borough called “The Planet” for its unparalleled diversity, setting the musical tone in an arena of 18,000 fans is a unique undertaking. Where else but Brooklyn do communities of every cultural origin on earth rub elbows so closely, move to the same sounds, and cheer for the same team? With the arrival of the Brooklyn Nets to their new home in Barclays Center, a challenge emerged: how do you entertain Brooklyn? ALL of it. At once. For the Brooklyn Nets, the answer was J.PERIOD. 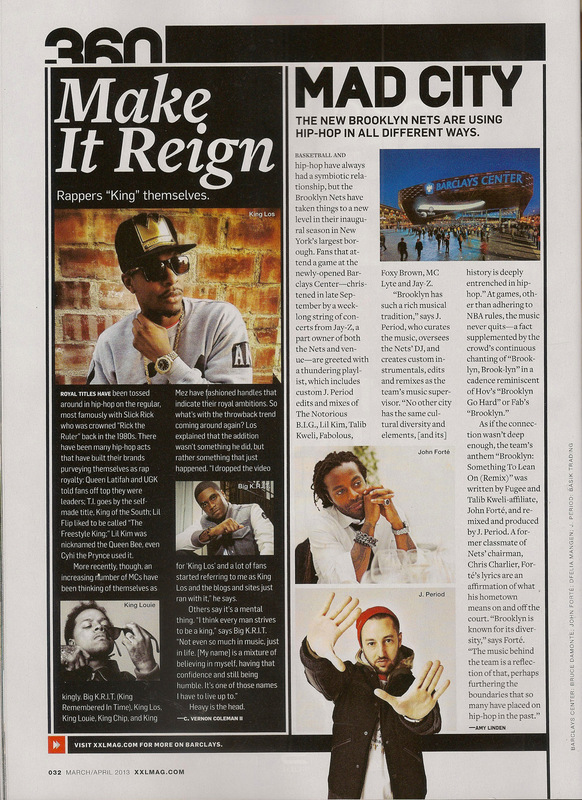 Hired to oversee the musical identity of the franchise debut at Barclays Center, J.PERIOD became the NBA’s first Music Supervisor, curating with Brooklyn diversity in mind and remixing for a next-generation NBA experience. 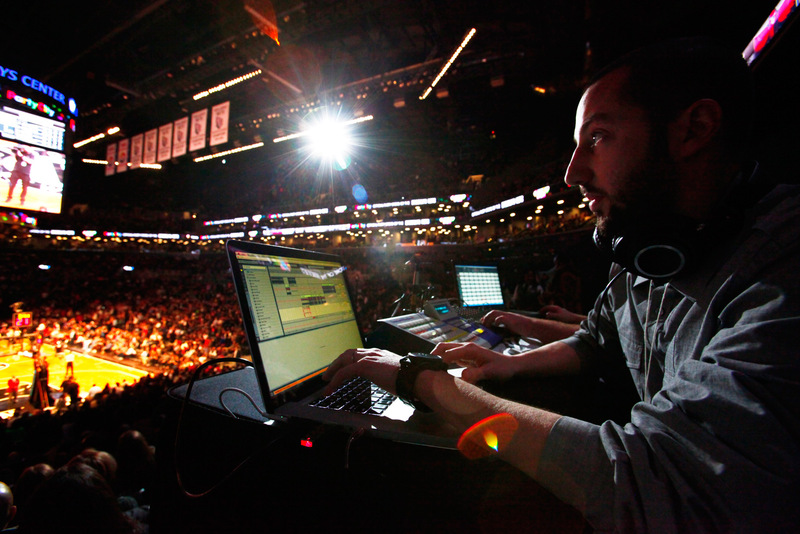 J.PERIOD’s custom-produced Brooklyn edits, sound bytes and remixes set a new standard for NBA game soundtracks: fully customized, edited for game-flow, remixed to appeal to Brooklyn’s broad audience, brimming with borough pride. The response? 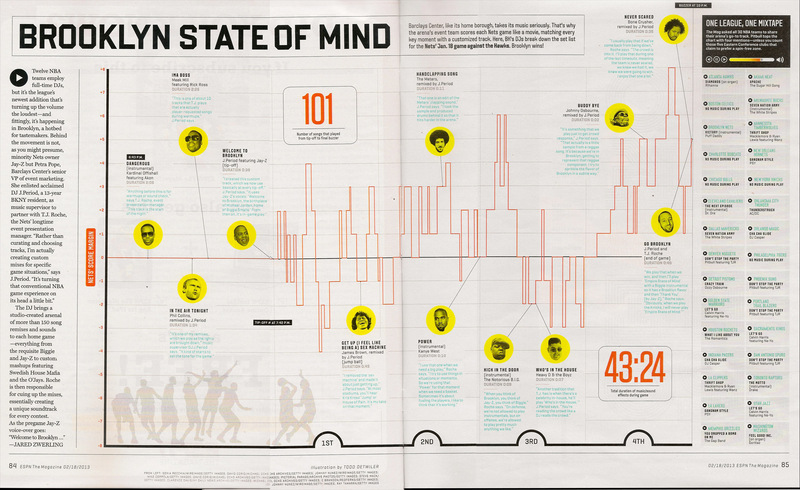 Rave reviews from Rolling Stone, ESPN Magazine, The New York Times, The Wall Street Journal, ESPN.com, JAY Z’s LifeAndTimes.com, XXL, Stanford Magazine and more. Musical royalty Ahmir “Questlove” Thompson even took note, tweeting: Gotta say @BrooklynNets have THE best music sound bytes in their games. Big up @jperiodBK! Called a “music guru” by Rolling Stone, J.PERIOD’s extensive knowledge of music and ability to juggle genres has definitely come in handy on the job. Season one’s setlist bridged the gap from James Brown to JAY Z, the White Stripes to Pharoahe Monch, and Michael Jackson to Biggie. Where better to push boundaries than Brooklyn? 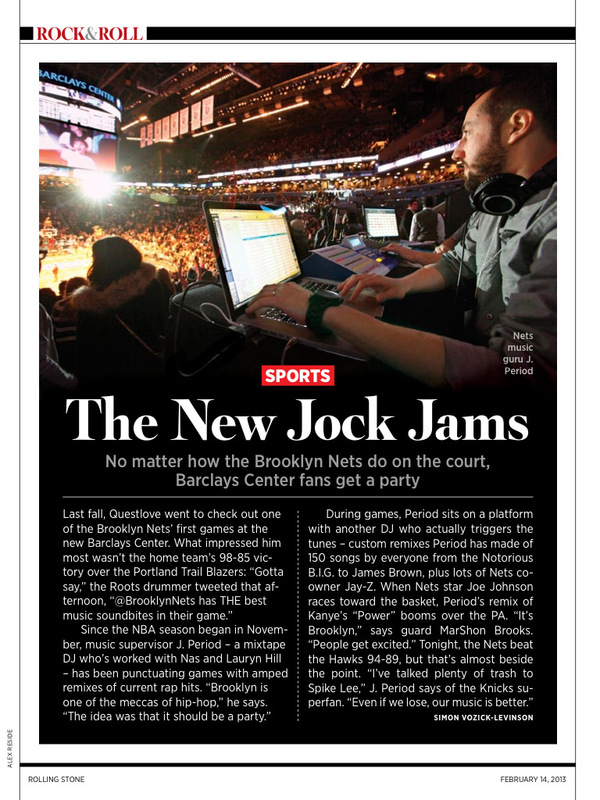 J.PERIOD’s signature sounds continue to shake the walls of the Barclays Center this season, including his newly-produced 2013-14 Brooklyn Nets Opening Theme, which plays before every game at Barclays Center. Gotta say @BrooklynNets has THE best music soundbites in their game. Quoting all BK jams bigup @jperiodBK!!! !